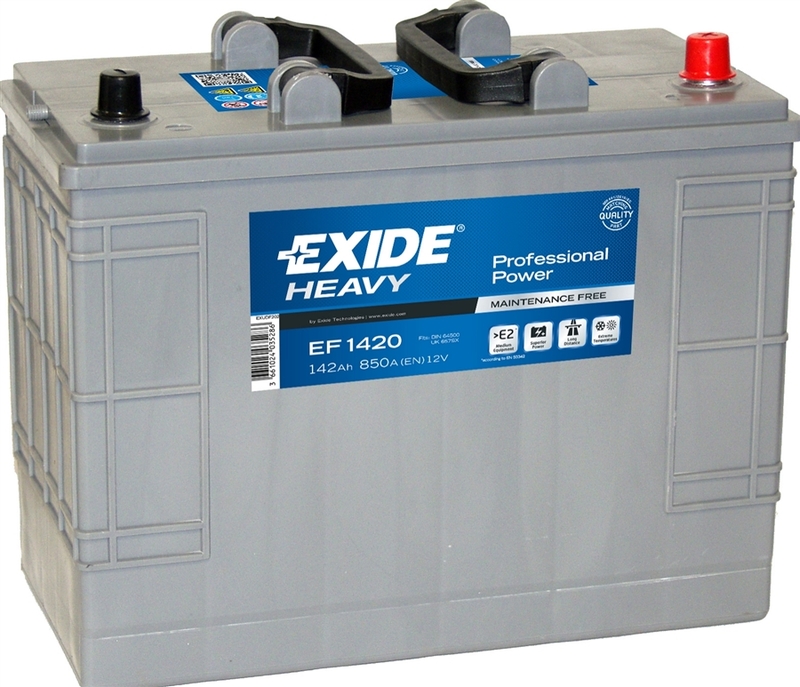 850CCA 142AH - Exide's Professional Power commercial batteries are designed to supply the highest starting power for the most popular commercial vehicles. Absolutely maintenance free and provides a perfect balance between high electrical performance and robust cell construction. Flexible and robust choice for any type of road, agricultural or construction vehicle under regular use. Designed for the classic chassis layout with batteries placed to the side of the cabin.